Several months ago I decided I needed a hobby (apparently working doesn’t count). After doing some research I came across the noble art of lock picking. I bought a practice lock and a beginner’s lock pick set and got to work. A few days later, I was hooked. There was something immensely satisfying about pitting my skill and intellect against sophisticated locking mechanisms. I tried explaining the appeal of my newest hobby to several of my friends who also manage paid ads, but to no avail. It was only when I compared lock picking to PPC that they understood my new fascination. Following are some of the points that I came up with. Just like with PPC accounts, every lock is different. Locks made by the same manufacturer (think same industry) may appear to be similar, but odds are the internal mechanics are vastly different. What works for one lock is not guaranteed to work for another lock. Similarly, just because one AdWords account performs well on the Display network or with certain calls to action doesn’t mean all accounts will. Embrace the differences and capitalize on the strengths. I have a few lock picks that I favor and tend to use almost exclusively. When I get a new lock, however, I start with the most basic lock pick and work my way up. I usually test all of my relevant lock picks before deciding which one to go with. Pay per click is the same way. Although there are generally accepted industry best practices, you won’t know for sure what works best until you perform several rounds of A/B tests. You need to set aside your assumptions and test everything. Data, not precedence, should determine direction. Some people mistakenly believe that you can determine how to pick a lock by examining its outside. The keyhole can give you some indication as to what type of pick and tension wrench you will need, but it’s when you start trying to lift the tumblers that you’ll learn about the lock. With paid ads, if you only look at the surface level metrics of an account (such as clickthrough rate, cost-per-click, clicks, etc.) you’ll miss a lot of the intricacies that lie below the surface. 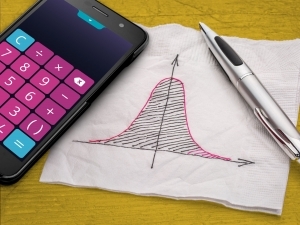 How are your ads contributing to bounce rate? Are certain times of day or days of the week outperforming others? Which ads are performing the best? A thorough account audit is necessary if you want to get a clear picture of your advertising efforts. Like any skill, lock picking can quickly be forgotten if you don’t practice. I know people who used to be quite proficient at picking locks, but after an extended period of inactivity lost most of what they once knew. It’s important to advertise your business, but if all you do is create an AdWords or Facebook advertising account and then forget about it. Your performance will suffer. A successful advertising campaign takes consistent effort. Do you still think my lock picking and PPC analogy is a stretch? That’s ok, I’m a paid search manager and lock picking enthusiast, not a professional debater. I can’t convince you that they’re similar, but PPC and lock picking are two things that I love and the day may come when you’re in need of one or the other. 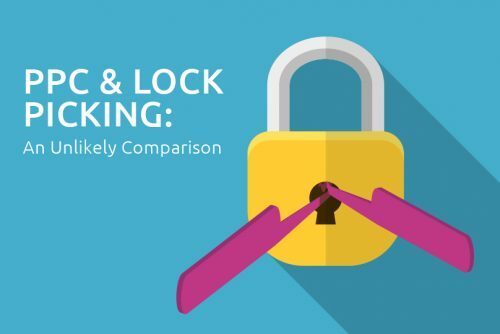 We don’t offer locksmith services, but if you have any questions about your marketing efforts, call the experts here at Epic Marketing and we’ll be glad to help you! 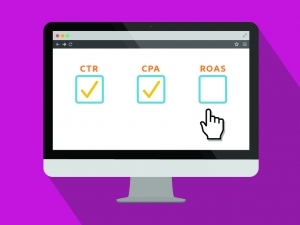 What PPC Metrics Should You Focus On?